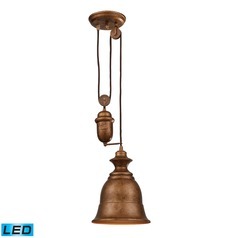 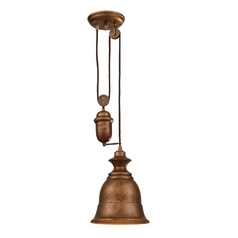 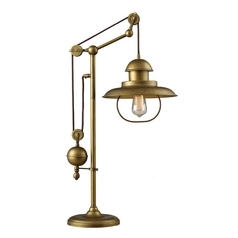 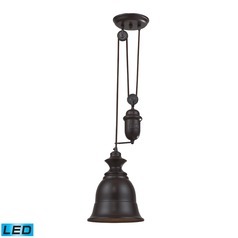 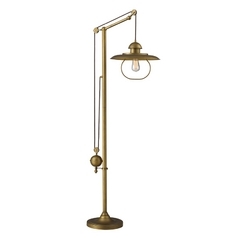 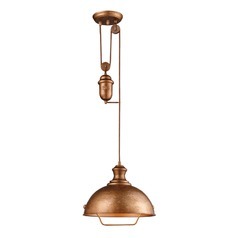 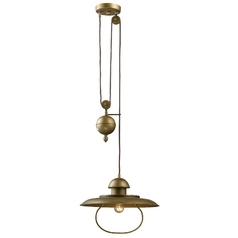 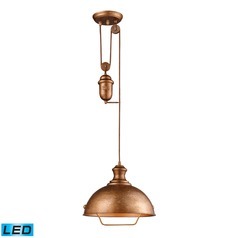 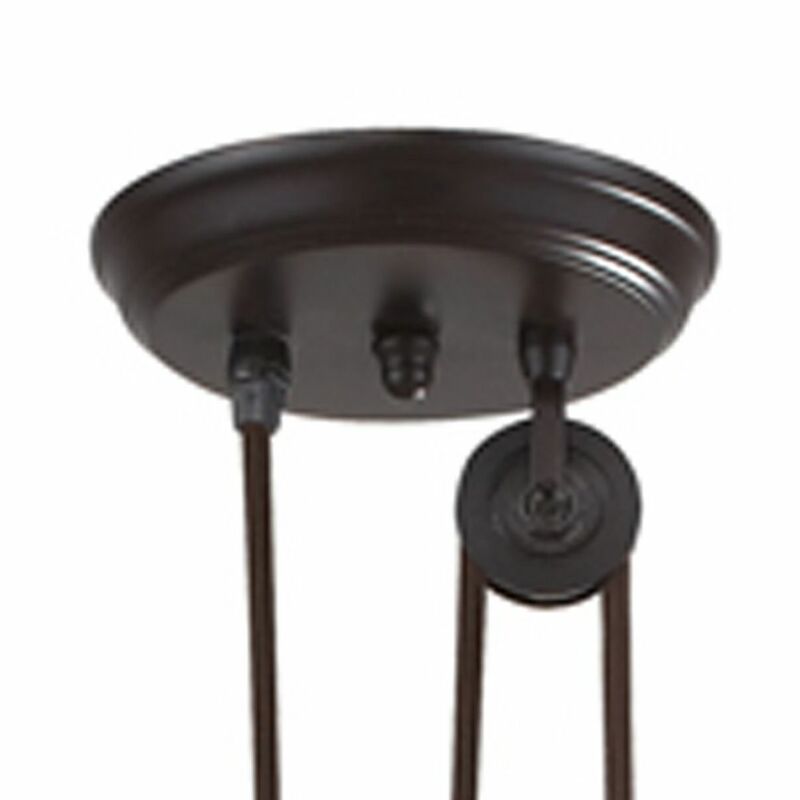 The following are detailed specifications about the Farmhouse Pulley Pendant Light - Bronze Finish. 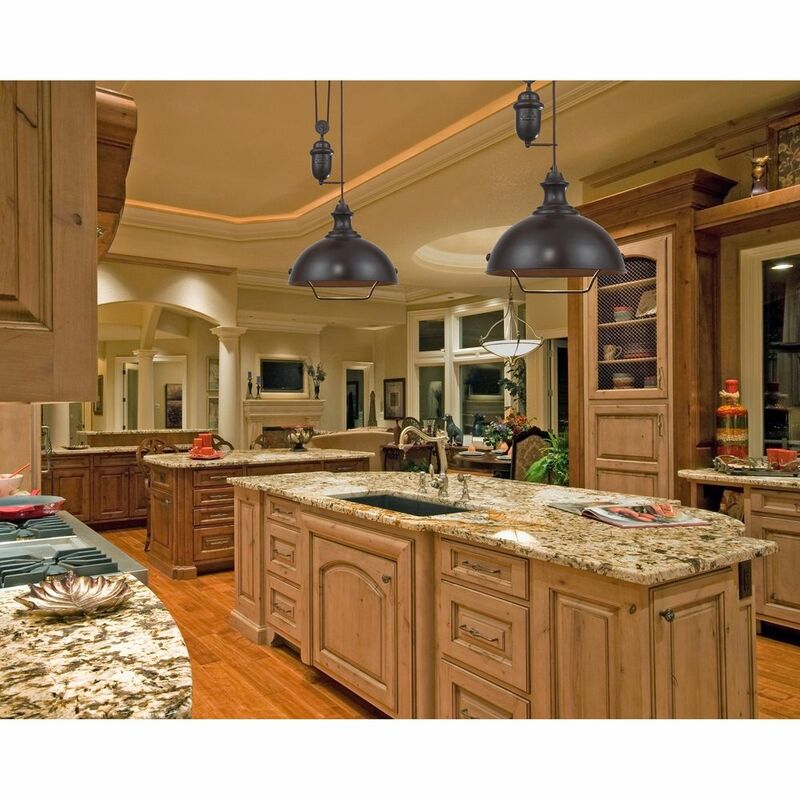 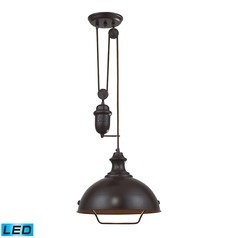 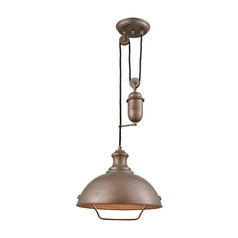 This pendant light with brown shade and bronze finish by Elk lighting has a farmhouse feel. 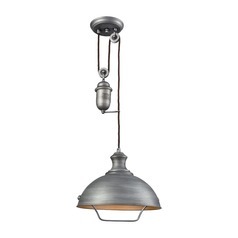 Hang it over your breakfast bar or in your eat-in area to complement your upscale country kitchen or enhance a shabby chic design. 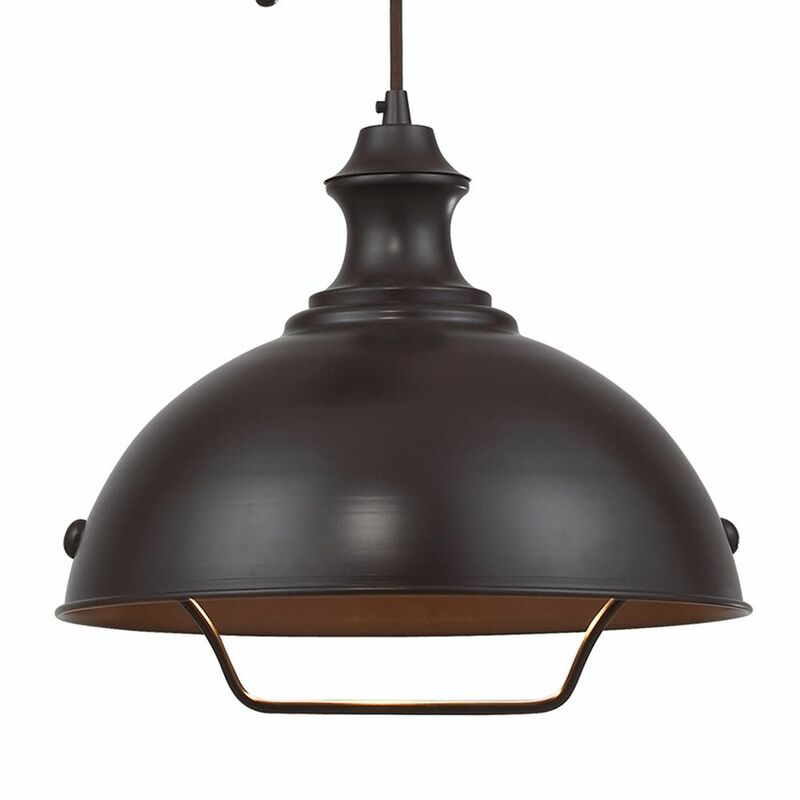 The opaque oiled-bronze dome shade directs light downward, so this pendant light is ideal for use over a pool or card table in a game room in your cabin or mountain home. 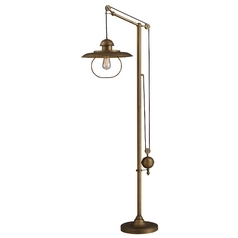 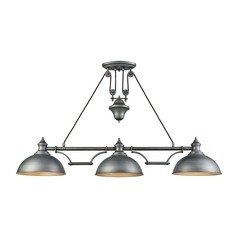 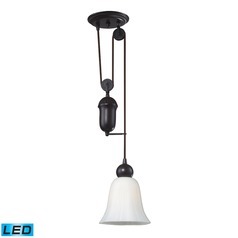 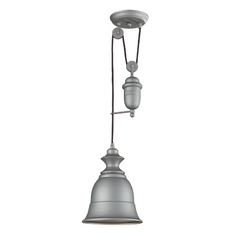 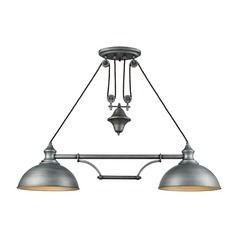 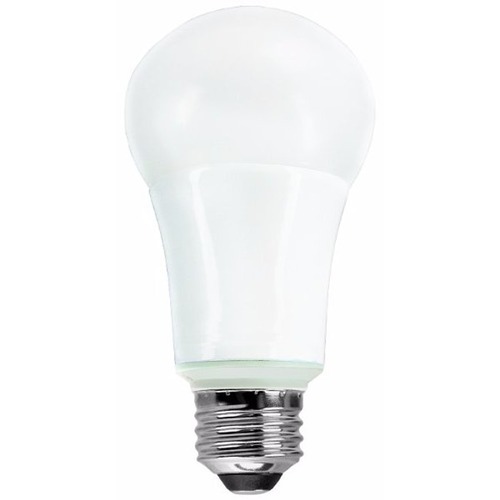 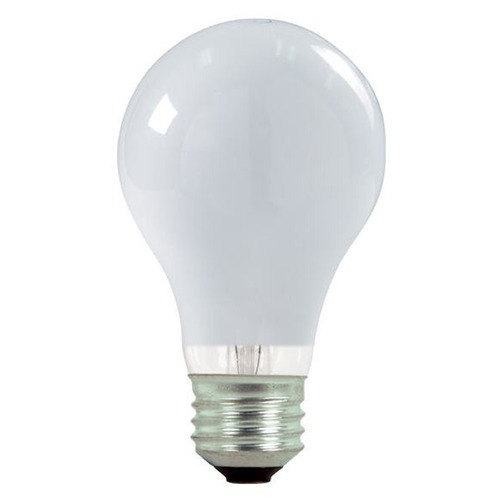 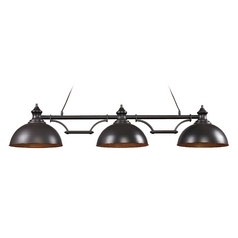 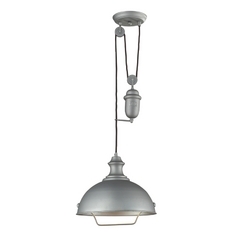 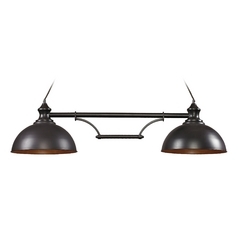 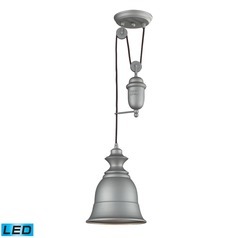 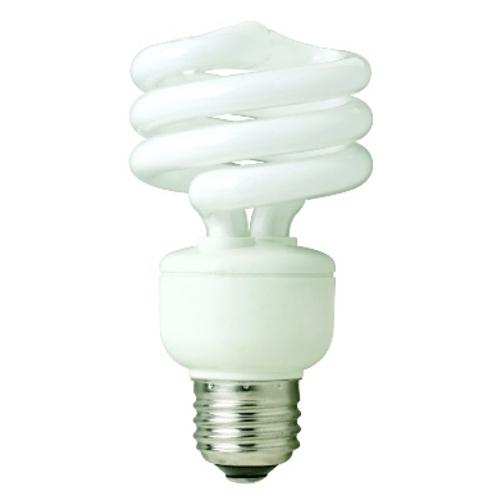 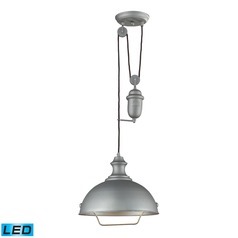 This fixture takes one medium-base A19 incandescent light bulb of up to 100-watts. 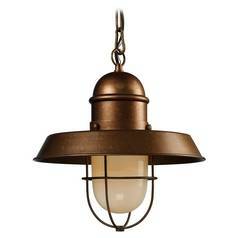 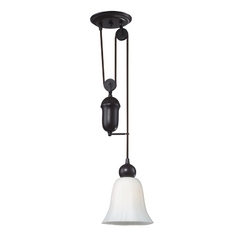 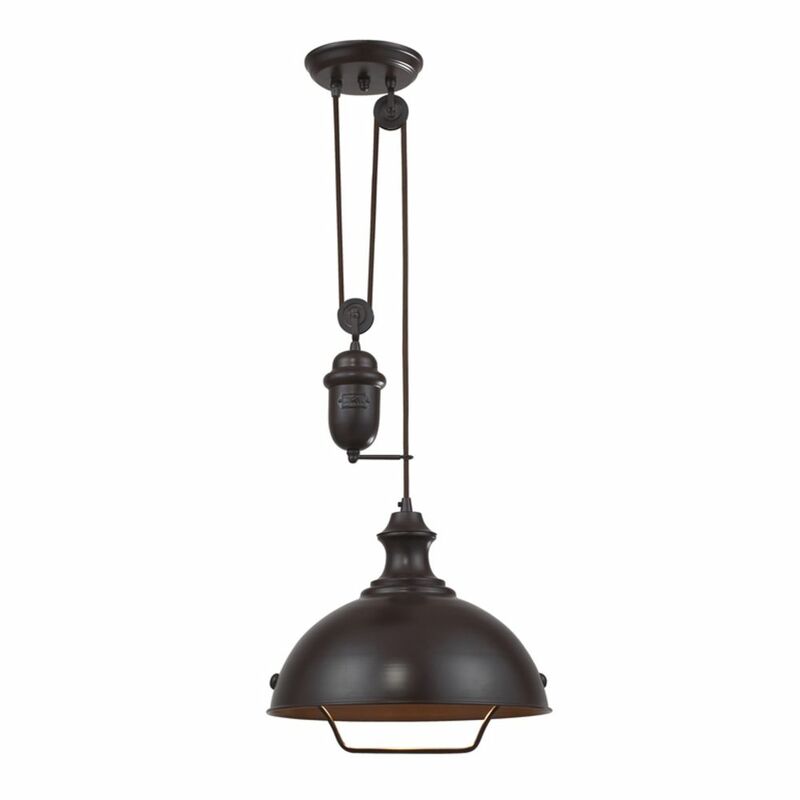 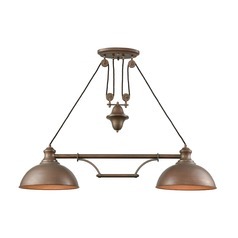 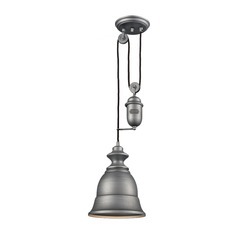 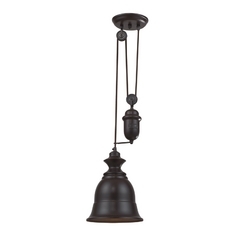 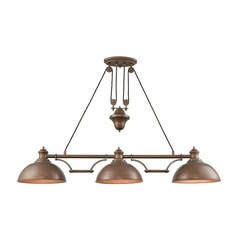 This Farmhouse Pulley Pendant Light - Bronze Finish is part of the Farmhouse Collection from Elk Lighting. The following items are also part of the Farmhouse Collection.